The Hitman video game by developer IO Interactive has surely been one of the year’s best to date, and has featured an interesting form of live content in its “Elusive Targets”. These are assassination targets that only appear in the game for a limited period of time, therefore players only have a set amount of time in which to attempt and complete the mission. The game’s latest Elusive Target (number 10) is a pharmacist who’s running a company that’s been doing some very unethical things in the third world, and it’s up to players to put an end to her wrongdoing. She’ll be at the Paris Sanguine Show (the scene of the game’s first episode, which was released last March) for a full 7 days starting today, which makes her the longest-lived Elusive Target to date aside from actor Gary Busey, who appeared as an Elusive Target in the game in July. Those who don’t want to miss an Elusive Target in Hitman should know that Game creators IO Interactive offer a Companion app for the game (available on Android and iOS) that warns players when an Elusive Target goes live and also offers access to the mission briefing, amongst other things. 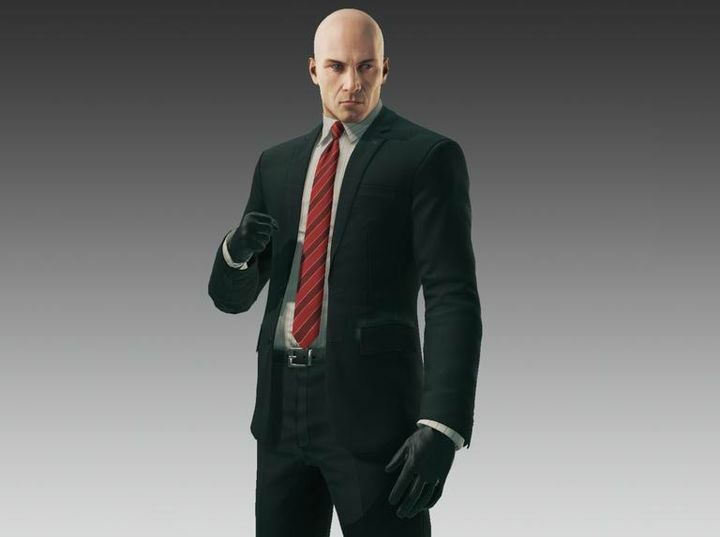 Players who manage to complete 10 Elusive Targets will receive the Blood Money Signature suit in the game (see below), as detailed on IO’s official website. And it is clear that Hitman’s Elusive Targets certainly add to the experience of playing the game which has been released episodically this year, with episode 5 being released later this month and the final episode (which is set in the Far East) coming out later in the year.